I needed a pair of lamps to sit on top of my file cabinets in our home office/library. I decided I wanted globe lamps. 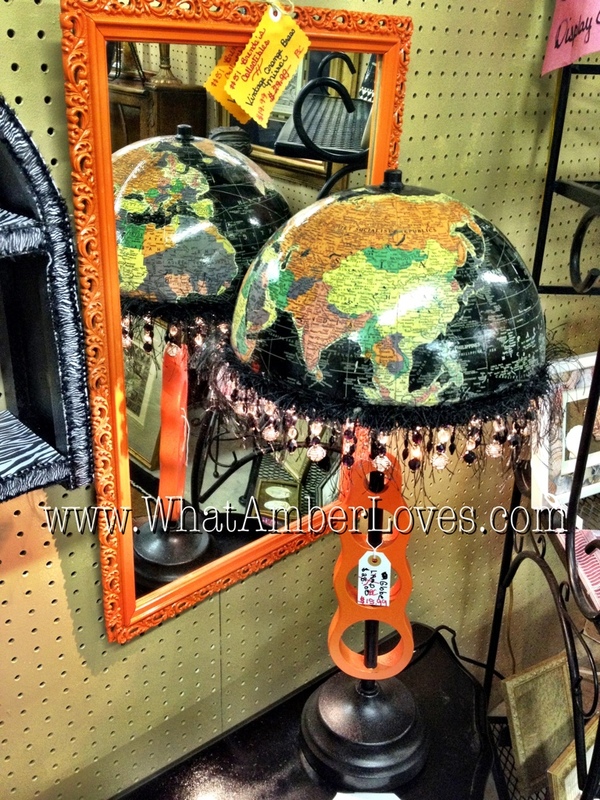 You know, when you cut apart a globe in order to make lampshades out of the globe? 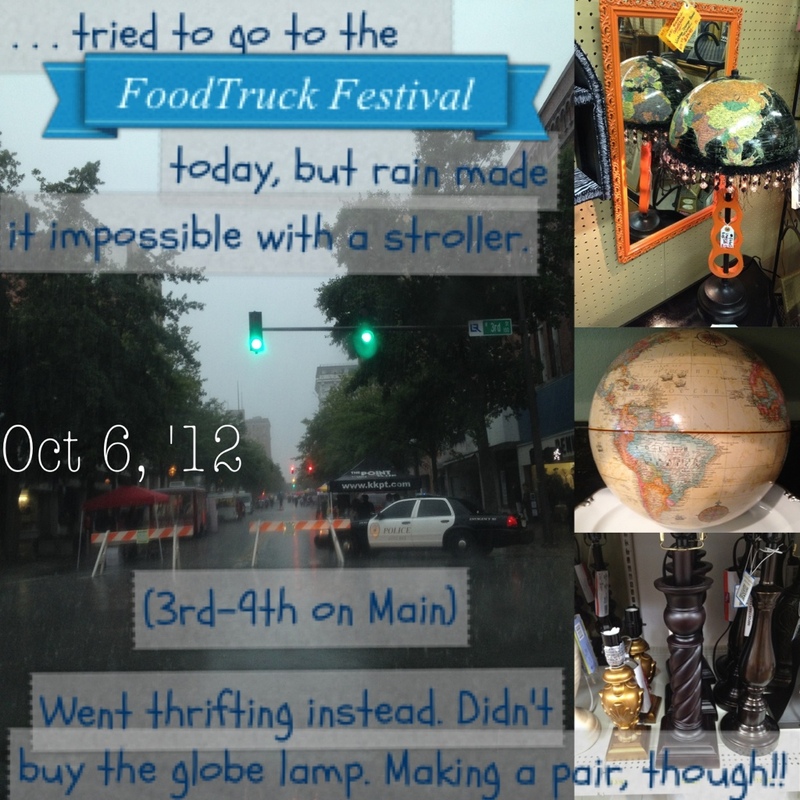 Not wanting to cut up my husband’s childhood globe and since it was raining on Saturday, making it impossible for us to attend a local FOODTRUCK Festival in the rain with our youngest in a stroller, we went looking around at a few local thrift/antique stores in order to find a globe and just muse around. 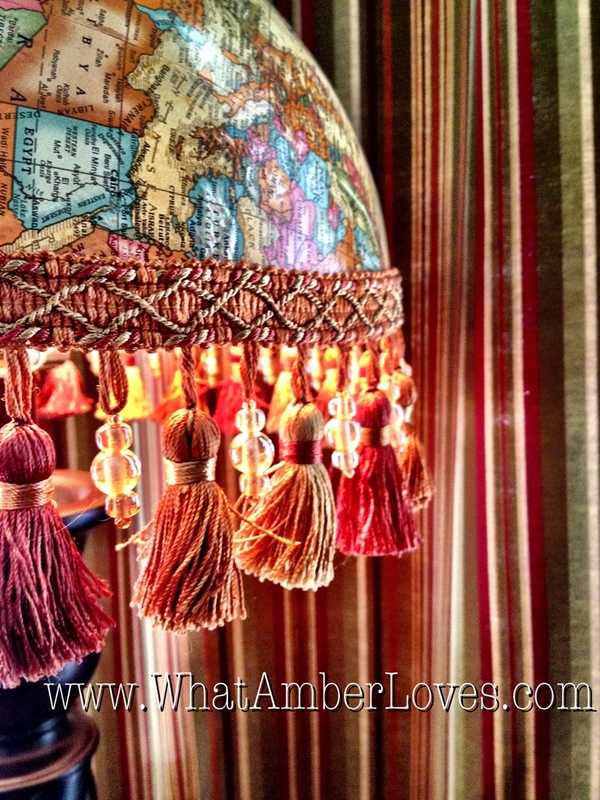 Despite the fact that I totally fell in love with the lamp and globe lampshade, I didn’t get it, because I wanted a pair of lamps; however, I firmly believe YOU should totally go buy this handcrafted one-of-a-kind globe lamp. It’s only $15.99 at Hidden Treasures on Hwy 107 in NorthLittleRock/Sherwood, Arkansas. Thanks for tuning in! Since making this project, I’ve kind of been fascinated by globe projects and prices. 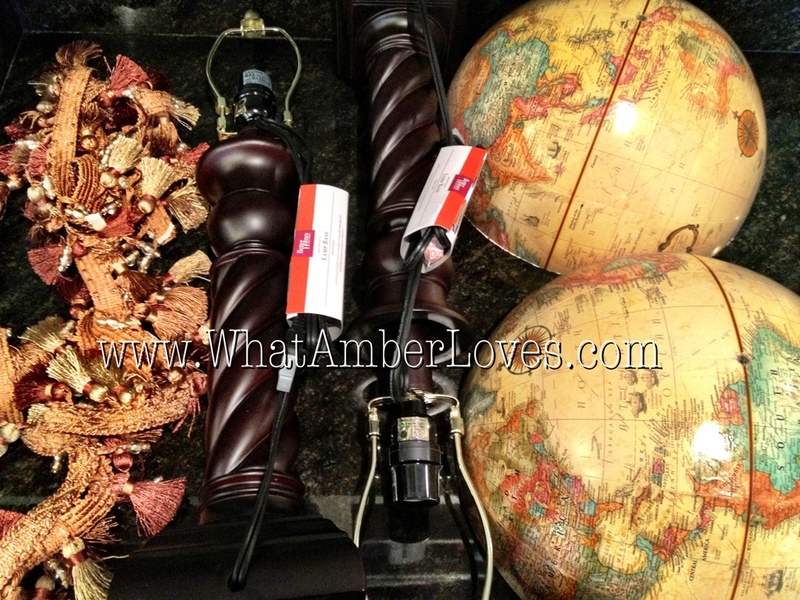 I’ve compiled a round-up and shopping board on Pinterest, click “Globe Trotting,” to see the globe projects I’ve found! AND, I can’t finish this post without a big HAPPY BIRTHDAY shout out to my dad, pretty much the most awesome guy that has ever existed! Love you Dad!! 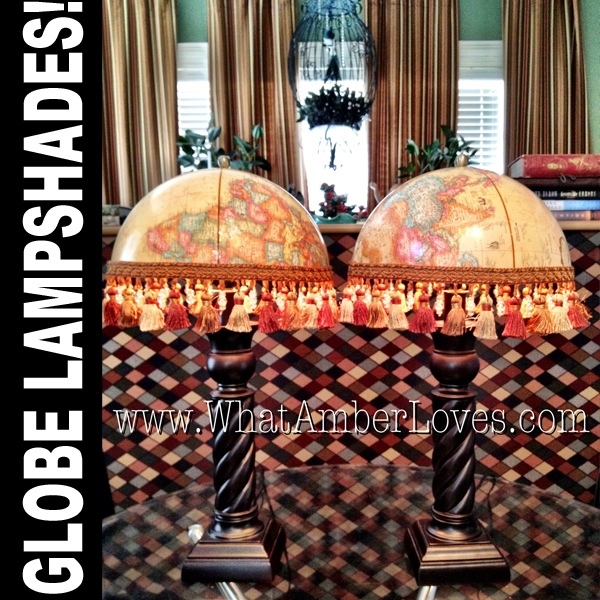 When this globe lampshade parties or is featured, you’ll see the links and buttons at the bottom of this post updated daily! As always, feel free to re-post an image, pin it, tweet it, fb it, or whatever, so long as it clearly links back to here! If you do feature this project on your blog, site, or ‘zine, please, let me know and I’ll add your link into this post! 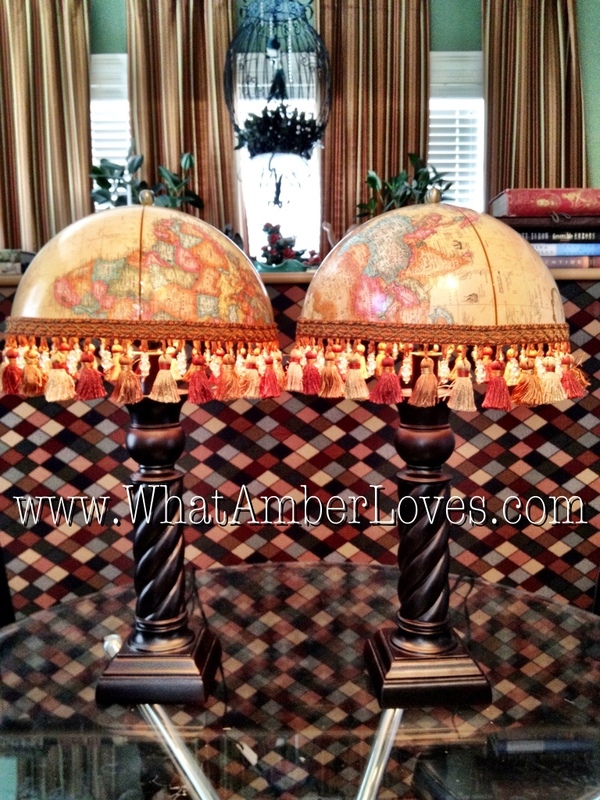 These globe lampshades were featured!! Twice!! 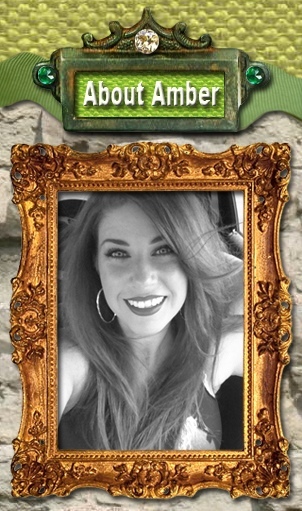 Be Inspired #40 @ ElizabethAndCo.